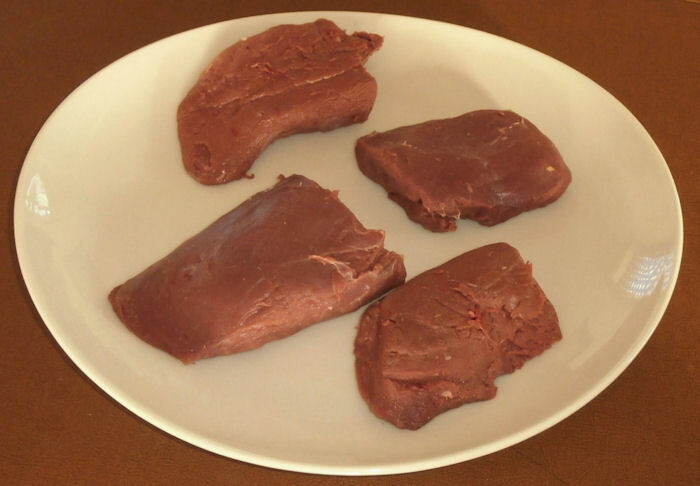 Want to make your own foie gras from fresh duck liver: check my terrine recipe. Use untreated oranges if you can; either way: wash them well. There are two steps. First the fig compote is made. This can be done a day or more ahead. when cooled off, the compote should be hard to "cut" with a spoon! So, don't even try and use fig jam or store bought fig compote: your Duck Wellington will be a disaster! The compote can be kept in the refrigerator, but must be at room temperature when used! Be careful not to cut all the way through! Transfer to the hot (!) baking sheet. Done more than "medium rare" is a complete waste of good meat. Serve with a slice of foie gras, some fig compote (or fancy figs in wine glaze), some coarse sea salt next to it, and vegetables such as steamed baby asparagus.